The Annual Alumni Shore Reunion was held for the fifth straight year at the Essex and Sussex on Ocean Ave. in Spring Lake on Sept. 20. 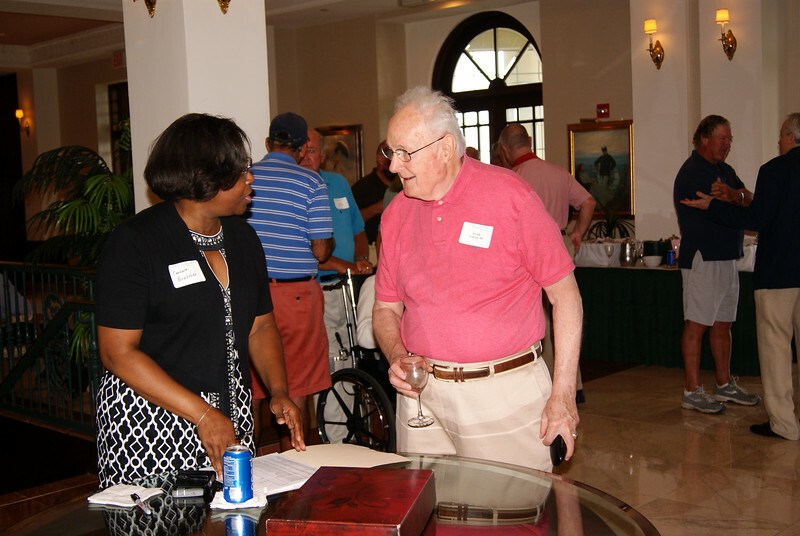 Over 30 alumni turned out for the event that was hosted by Pete Cahill ’60. Jack Mooney from the Class of '40 was the oldest attendee, while Fred Rimmele Jr., from the Class of '60, donated copies of the orginal school newspaper, "The Gray Bee," from its very first publication on Oct. 15, 1931 through 1935. The papers were saved by his father, the late Frederick Rimmele Sr. '33, and will now be kept safely in St. Benedict's archives.